Down at the recent Triathlon Show: London / London Bike Show at ExCeL, we chatted to Tim Lawson, the founder of Secret Training (www.secret-training.cc). Tim's first product under the Secret Training brand was the STRIP - Race Day Personal Care Kit, which has proven very popular, and that we tested ourselves last year. 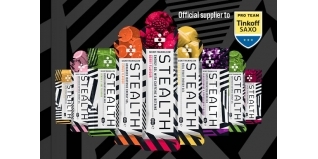 Tim has an extensive history in the sports nutrition industry (having previously founded Science in Sport), and his new product range with Secret Training - STEALTH - brings him back to his roots, with some innovative new isotonic energy gels, plus a super hydration drink. We grabbed a few minutes with Tim to talk through the products, why (and how) they were developed, and find that after decades in the cycling and sports industry, his passion to improve and make even better products shows no signs of fading.